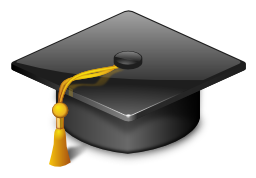 Complete Degree in 1 Year or 6 Months. Degree will Awarded by 100% UGC & Govt Recognized University. Do BA, B.Tech, BBA, BCom, BSc, BCA, MBA, MCA, MSc, M.Tech. etc. Acknowledging our mission to create the quality human resource in the niche and emerging areas, the Government of India, Ministry of Human Resource Development, vide its Notification No. 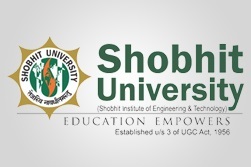 F-9-37/2004-U.3 (A) dated 8th November, 2006 under section 3 of the University Grants Commission Act granted Deemed-to-be University status to Shobhit Institute of Engineering & Technology (Shobhit University, Meerut) at Meerut, (Delhi NCR), Uttar Pradesh. The Government of Uttar Pradesh has notified our Second University in Gangoh, Saharanpur District, Uttar Pradesh by the name, Shobhit University, Uttar Pradesh under section 2(f) of the University Grant Commission (U.G.C.) Act, 1956 having been set up under the Shobhit Vishwavidhaylaya, Uttar Pradesh Adhiniyam, 2011 (U.P. Act No.3 of 2012) as passed by Uttar Pradesh Legislature and assented by the H.E. Governor of Uttar Pradesh in March 2012. We, at the School of Distance Education, are pleased to give an open invitation, to wide range of potential partners, governments, inter-governmental and non-governmental organization, specialized institutions, public and private sector industries interested in developing these opportunities, to join hands with School of Distance Education for effectively meeting today's urgent education and training needs. This can be accomplished through a vision of empowering the nation to which Shobhit University is committed. Landmark: Near Bikaner Sweets, Sector 16-17 Dividing Road.